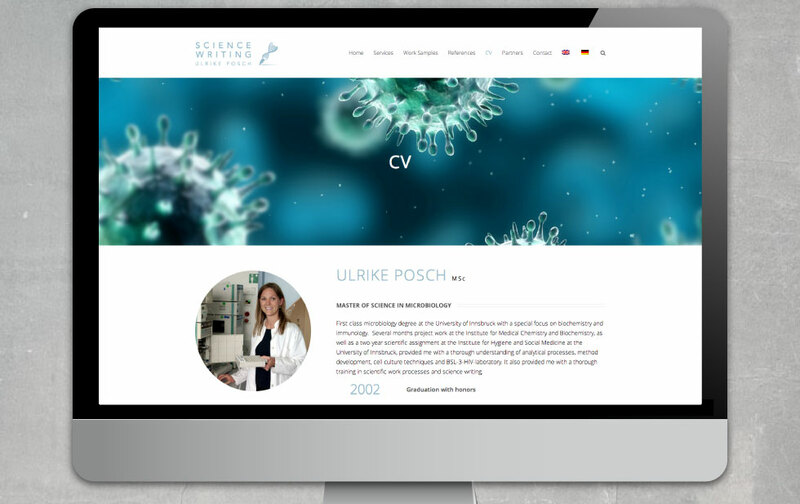 As a freelancing scientific writer it is important for Ulrike to have a professional, informative and clear web presence. 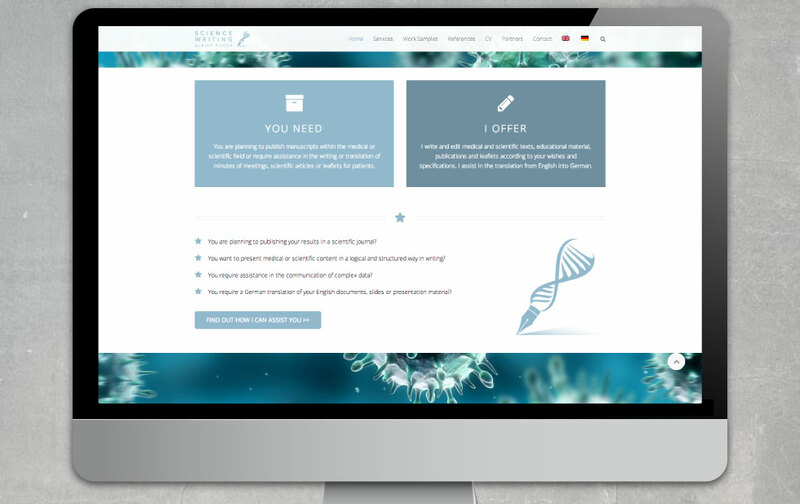 As a first step we helped Ulrike purchase an appropriate domain name and set up a professional email address for her through which she can make all her work correspondence. 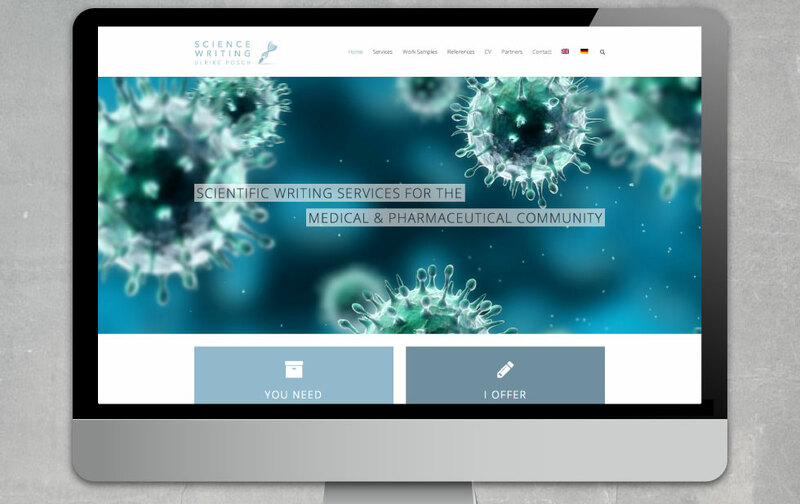 Using an eye-catching microscopic image of a virus as background, combined with a lot of white space, the resulting website design is clean and to the point. The website is of course responsive and – in this case – multilingual, allowing the visitor to switch between German and English on every page.